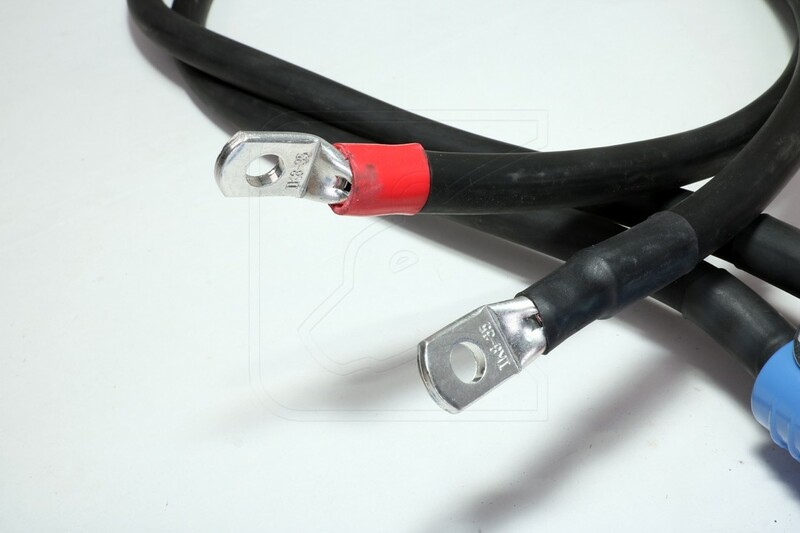 Nakatanenga jump leads/ booster cable / jump start cable - Heavy Duty - 5m length. Extreme tough jump leads with professional plug connection for the seat box with fully insulated heavy duty clamps. 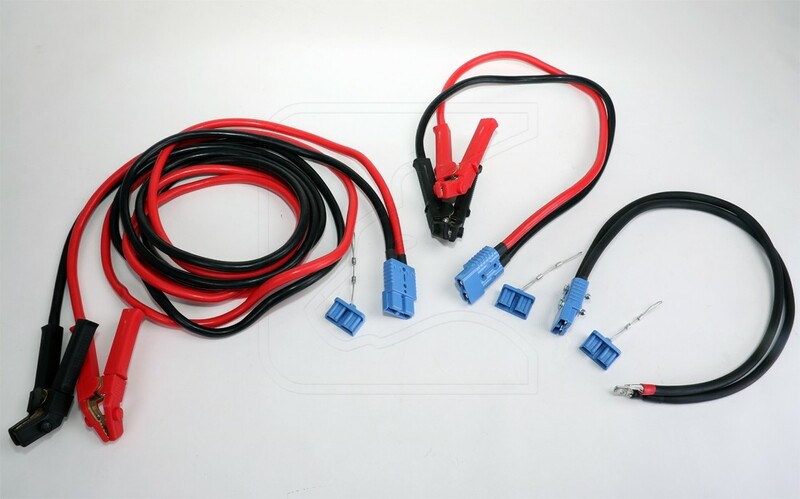 This set has been optimised with 2 extra cables to enable the use not only for Land Rover Defenders but also for other vehicles to be used as standard jump leads. 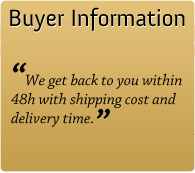 The heavy duty kit 5 m includes 2 x 1 meter extra cable. 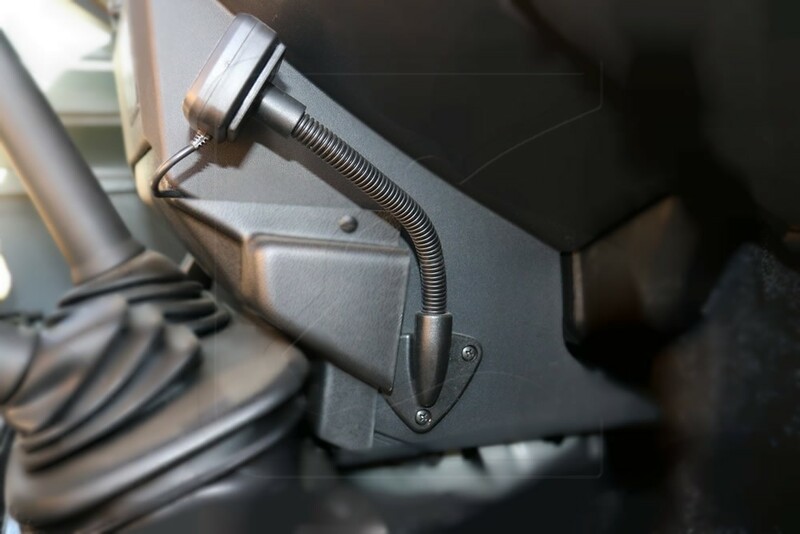 The first cable contains suitable cable shoes to connect to the Defender battery. 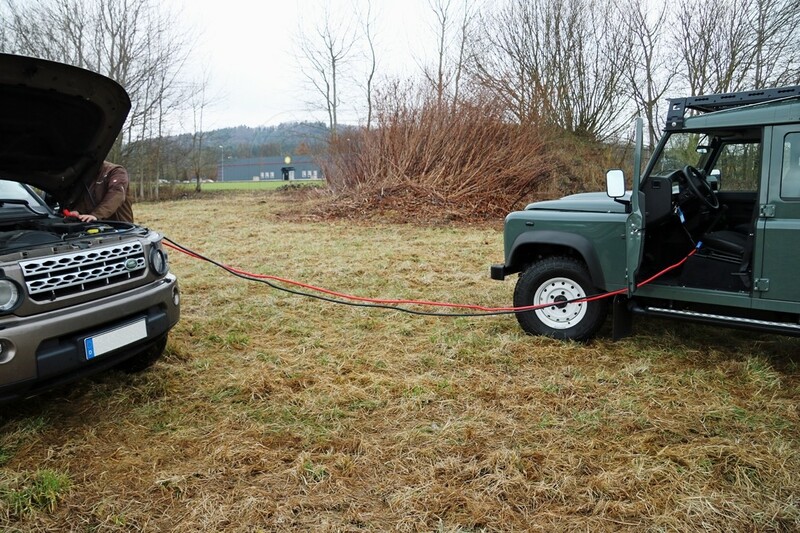 The electric plug on the 1 meter cable can be fitted to the Land Rover Defender seat box and as such guarantees a fast and trouble free connection of the jump lead. 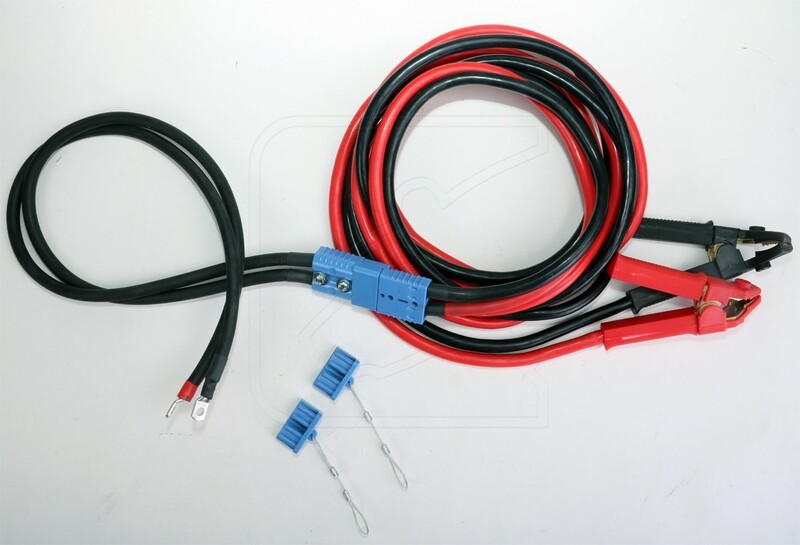 The jump lead can be connected to the second 1 meter cable via the electric plug so that you can use it for other vehicles. The clamps are fully insulated. This set contains a Nakatanenga carry bag with carrying strap and roll closure. 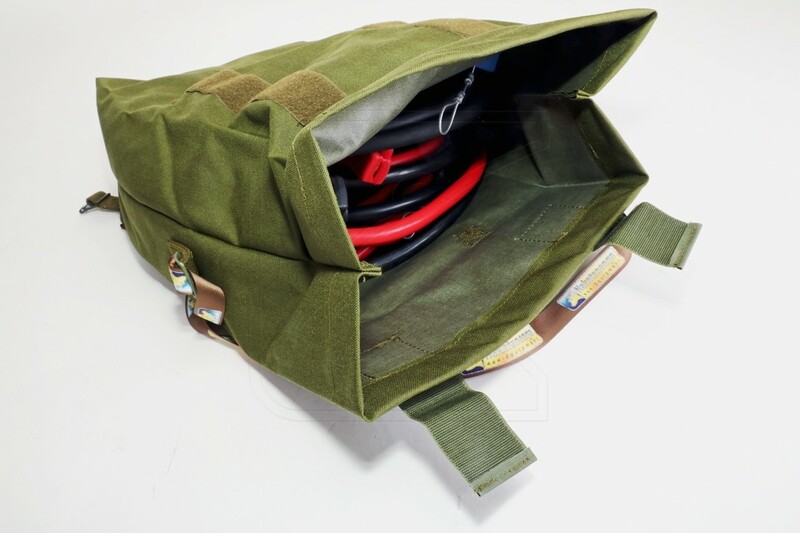 The jump leads set fits perfectly in this bag. Nakatanenga jump leads/ booster cables / jump start cable - Heavy Duty - 5m length. 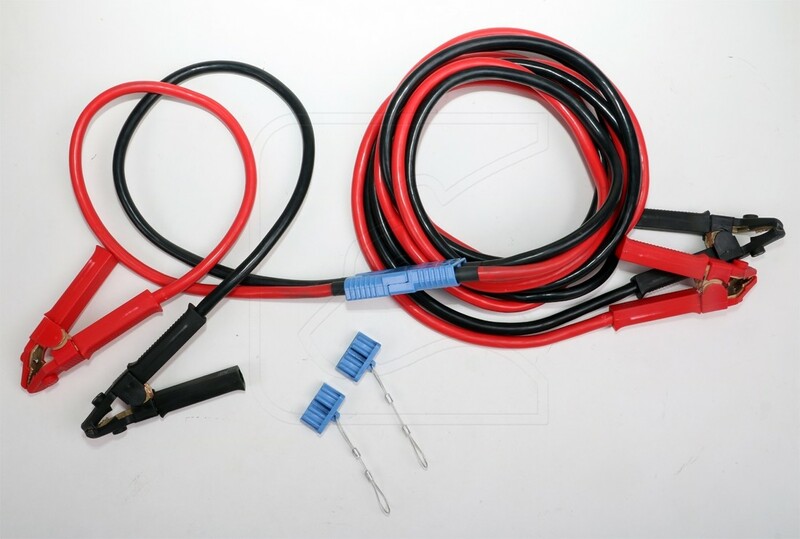 This set has been optimised with 2 extra cables to enable the use not only for Land Rover Defenders but also for other vehicles as standard jump leads..
No car-body contact between the two vehicles. 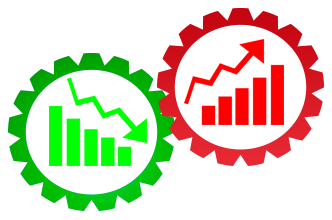 Ignition off on both vehicles, gear box in neutral or parking position, parking brake on. 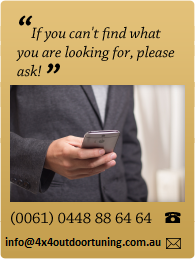 Do not disconnect the empty battery from the on-board power supply. 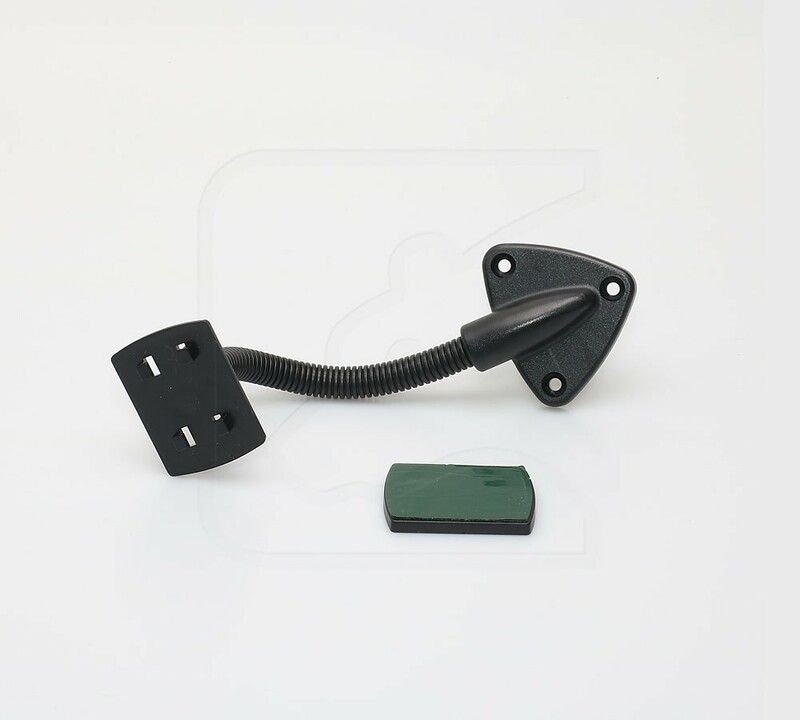 Black clamp as far as possible away from the empty battery on earth/ground, motorblock on the vehicle without power.